It’s true that traveling Jeju all by yourself can be challenging. 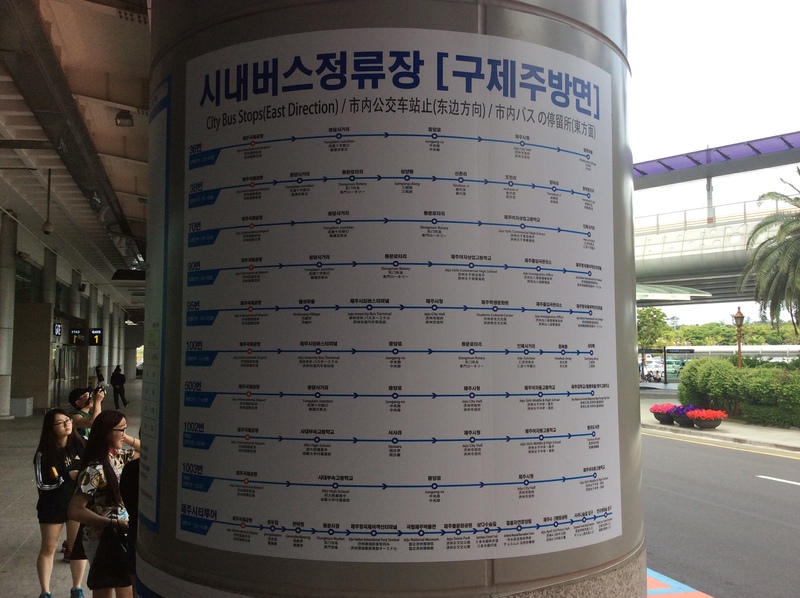 But with a little knowledge of Hangul(Korean alphabet) your trip becomes much easier. Learning Korean language itself can really be challenging, but all you need to know for traveling is learning how to read ‘Hangul Alphabets.’ I’ll help you get the knack. And once you’ve got the knack, Korean is readable. There are three confusing consonants. ㄱ(g) always sounds like g in ‘gasp,get,gig,ghost,gust.’ never pronounce it like ‘g’ of gest. Next it’s ㅇ. ㅇsounds like e-eung when it’s only by itself. Think of it as sth round. 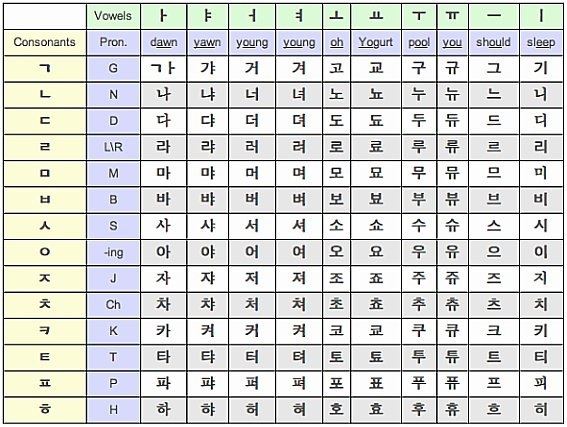 examples: 머 will sound like ‘muh.’ but with ㅇ, 머 becomes 멍 and sounds like ‘mung’ now. Lastly, it’s ㄹ. We Koreans do not differentiate r and l, and that is why there’s an old joke that says ‘Koreans live on lice.’ So speak ㄹ as you wish. Now let’s read the sign of the bus stop outside the Jeju Int’l Airport. In the poster, it says ‘시내버스 정류장(구제주 방면)’ let’s read these letters one by one. Now all you need is some practice! I don’t want you to spend too much time learning these, so learn them when you have time to take some rest and enjoy your trip in Jeju with minimum knowledge of Hangul. I will soon post about T-money. So long! I appreciate you spending some time and effort to put this content.